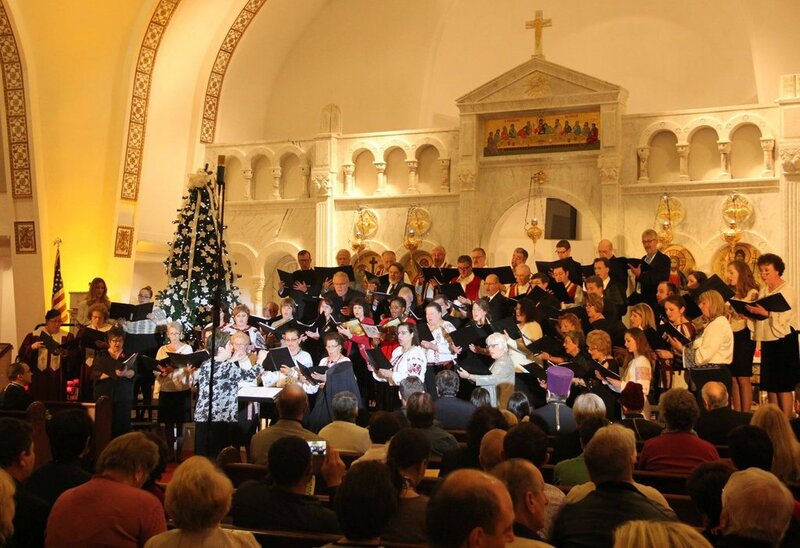 WESTLAND, MI [COCC] -- On Sunday, 13 December 2015, choirs from several parishes across Metropolitan Detroit gathered to offer "Christ is Born! Glorify Him! A Detroit Orthodox Christmas Concert" at Sts. Constantine & Helen Greek Orthodox Church in Westland. In addition, Romanian Children Carolers and a group from The Orthodox Choir of Detroit also performed. A reception immediately followed in the parish's Hellenic Cultural Center. Donations from the collection taken at the event went to the benefit of Detroit's Own Orthodox Radio (DOORradio.org) and FOCUS Motor City (FOCUSMotorCity.org).